Phew! It’s a hot one! 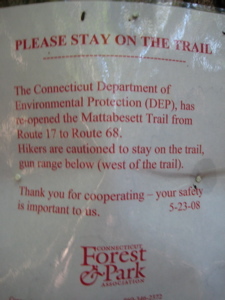 No, not so much the 95-degree day that I decided was fine to hike in… but the heated local debate about the Blue Trail gun range all-too-near the Mattabesett Trail on this, my fourth late afternoon hike along its fifty-plus miles. Temperatures, high or low, have never really bothered me too much. I can’t control them and with proper clothing and hydration, they are pretty much never a deterrent to a good hike. The one exception for me is driving rain in the low 30’s… but this being July and not exactly the Andes in Peru, I wouldn’t have to worry about that. 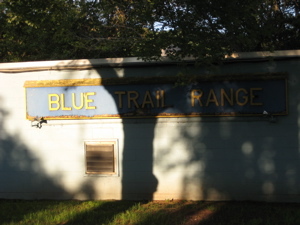 I had more pressing issues to worry about… namely, errant bullets from Wallingford’s Blue Trail Gun Range. Supposedly. 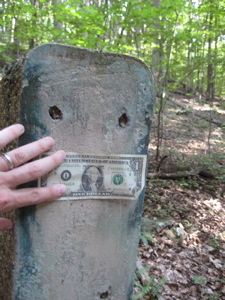 Despite all the recent news reports, I never saw any bullets along the trail even though I searched pretty thoroughly. And, it should be noted, the gun range in question is several hundred feet below the ridge line and really, if a shooter is so bad he’s endangering my life… I’d be surprised. 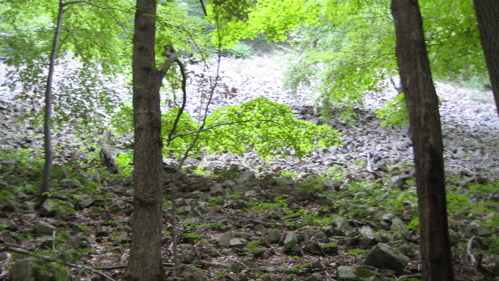 But before we get to that ugly situation, the Mattabesett is a right pleasant walk. Beginning where I last left off – at the junction of Routes 157 and 68 in Durham – the trail follows a swath of land cleared for a fiber optic cable. 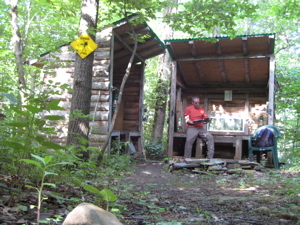 Boring as this may sound, there is one glimmer of excitement along this first bit of hiking: The Cattails Shelter. Weird. 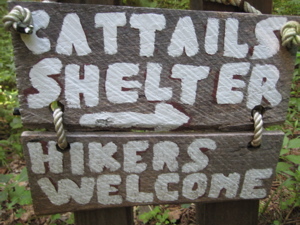 Aside from the Appalachian Trail, there really were no other designated shelters along Connecticut’s trails in 2008. Cattails is a rather well-appointed shelter with chairs and magazines and old kerosene lamps… though I’m not sure I’d feel good about sleeping here (it’s very close to the road) but it’s an interesting little diversion to say the least. A not-so-interesting diversion that I was finding myself dealing with over and over again was the removal of spider webs from my face and arms. Every ten feet or so, I’d step through yet another sticky web – and then feel the displaced arachnid crawling angrily somewhere on my person. Due to the late afternoon angle of the sun, I rarely saw them in my path. 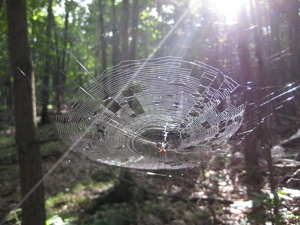 I quickly used my advanced sapien brain and developed a tool to combat this troubling development: The spider-web stick. 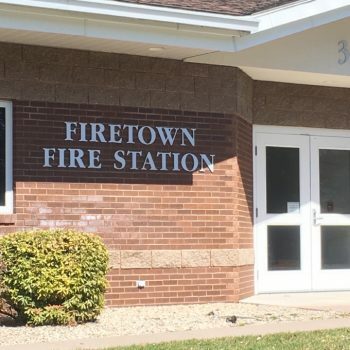 Sadly, I did not take a picture of my invention but just try to imagine, if you will, a stick from a tree; held in my hand, and swung from side to side in front of my face. I realize this concept may be a bit beyond my ability to describe it, but just use your imagination. I’m a genius. 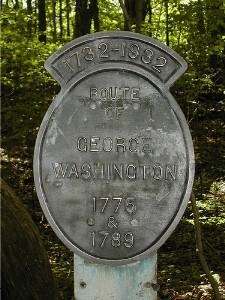 The trail gradually makes its way up a hill towards the Durham/Wallingford line and something called the Three Notches. When I think of “notches,” I think of the large thousands-of-feet ones up in New Hampshire and Maine. Here, I had trouble even discerning what was deemed a notch and what wasn’t… but there were a few blips of steepness in a row I suppose. 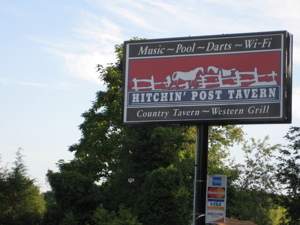 But perhaps I wasn’t keen on counting notches because I was more interesting in the aforementioned shooting range controversy. 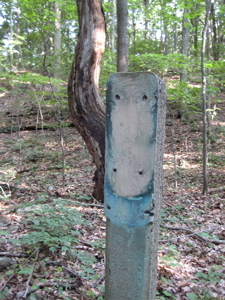 Once on the ridgeline, the CFPA has posted signs warning hikers to stay on the trail. 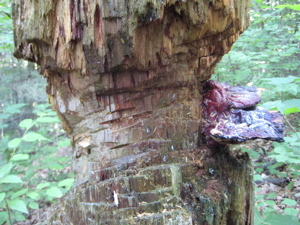 In fact, this section of the trail was closed for a while just before my hike. The shooting range agreed to shut down its long (200 yard) range where the big guns were lighting up the ridge line. I would be perfectly safe. Just as I was processing all this, I came upon my first view! 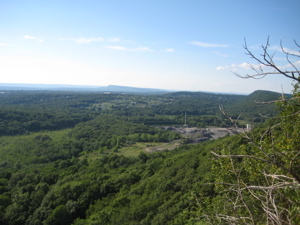 There’s Beseck Mountain to the right and yes CFPA Blue Trails Challenge fans, that is indeed the Hanging Hills in Meriden in the distance yet again! 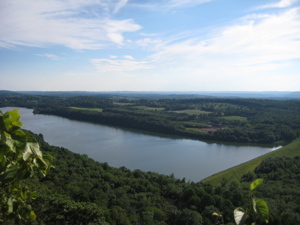 This viewpoint also afforded a nice look at Ulbrich Reservoir (below) and of the course the shooting range far below. Not bad. There is a large outcrop rock here as well, which would have allowed for a cool picture of me standing on it – but it was impossible to set up the shot. I walked on. The trail enters Trimountain State Park which is only interesting in that it only touches one mountain (Fowler) and not even all of it – rather than three mountains. I just looked it up: It takes its name from its overall triangular shape, its three southern pinnacles, and the three notches between the pinnacles. The Mattabesett does not summit Fowler but comes close. After that first view I’ve mentioned, the trail really has no more for a while but rather is a pleasant amble through the hardwood forest. Except for the abrupt and difficult descent from the viewpoint. 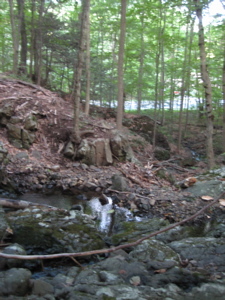 The trail walks down a fairly significant (by Connecticut standards) talus slope. This is not fun… it is about 200 yards of ankle twisting baseball sized scree and it also, interestingly, marks one of the last true exposed traprock ridges on my way eastward. The distinct geologic change I’d be noticing in the next couple of sections is something I’ll talk about later. There, there… you’ll just have to wait. I know how you love your geology lessons. After that excitement, the trail traverses a flat mile or so until it reaches the southern flank of Fowler Mountain. An abrupt turn east and then… my second designated lookout of the day! Hmm… not the best view ever, but a view nonetheless. 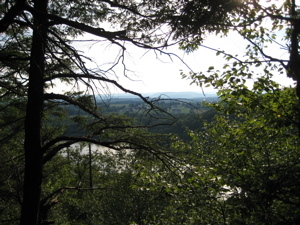 That’s Pistapaug Pond and before I knew it, I was rapidly descending down to Paug Gap. Again, not the gappiest gap I’ve ever hiked, but I’ll take what I can get here in Connecticut. I had now crossed back into Durham where I’d remain for the rest of my trek. 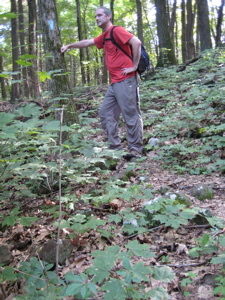 After crossing Howd Road, I ascended Pistapaug Mountain and was immediately surrounded by raspberries. There were TONS of them EVERYWHERE. 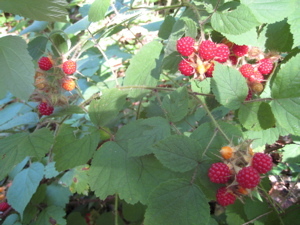 Mental note: If I ever have a hankering for raspberries, come here. Minimal effort, close parking, and easy pickins. 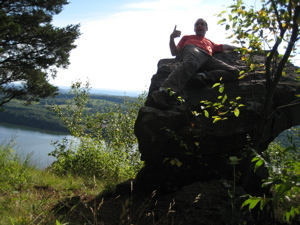 Just as exciting, once up on the saddle ridge of Pistapaug, I was promised another view by the Walk Book. 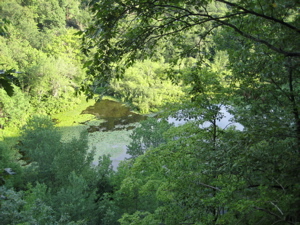 This time, it was the same pond from the eastern side. And again… it’s not a view to exactly write home about. Just maybe good enough to blog about though. A turn south, through the gap (or notch… oh let’s call it a hollow), and then a turn northeast to gradually descend the mountain to end my day.